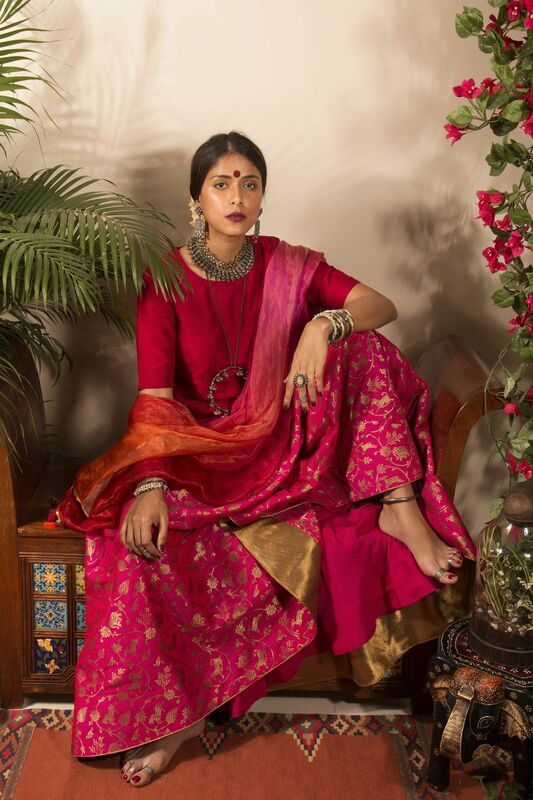 Bonheur, the latest collection by Pinessa, the label helmed by designers Neha Sharma and Shivangi Bajpai, has a new summer collection which features vibrant shades and floret embroidery. From here, one can shop for lehengas, saris and kurtas which are perfect for sangeet and cocktail dos. Rs 6,000 onwards. Look out for the festive collection by Gunjal Bhandari and Mayank Chourse’s label which features lightweight and graceful outfits. The outfits can be conveniently sported at a sangeet, or a mehendi do and they are fuss-free so you can dance easily. From the collection called Sarvada, you can pick kurtas with asymmetrical hemline, which can be paired with shararas.